If you follow me on twitter or are my friend on Facebook, you know that I can’t stop making posts about my new Vitamix Blender. And if you know me in real life, you also know that I name my major kitchen appliances (hence the name Vivian). Well, I am still not able to shut-up about my new Vitamix. I mean, look at her. She’s beautiful! I have been wanting a Vitamix for years and then I saw the new models that came out and I couldn’t resist. I sold mostly all of my small kitchen appliances and drove to Williams-Sonoma and VOILA! I chose the Professional Series 750. Sure, there were cheaper models but if you’re spending a little bit, why not spend a little more for Stainless Steel housing and the cool Pre-Set functions on the 750 model. 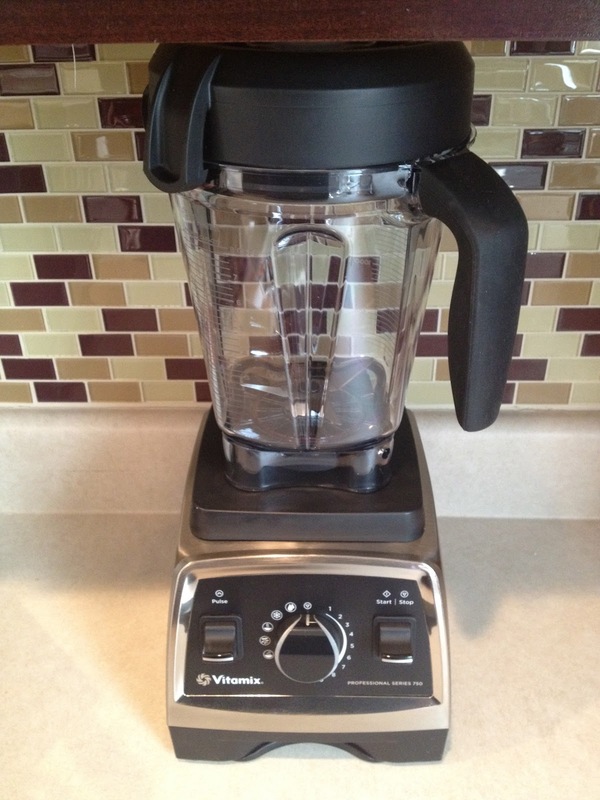 Vitamix really made some amazing changes with these models but the one I love the most is the 64 oz. carafe that fits UNDER (that’s right, UNDER) your countertop. I have seen hundreds of videos of people using Vitamix Blenders and I always saw the base sitting on the countertop with the carafe sitting next to it because it was too tall to fit under the counter. Again, those of you who know me know that I am slightly O.C.D. when it comes to my kitchen. I have to have everything “just so.” The thought of having the blender sitting on my countertop in two pieces was something that gave me the shakes. But that’s not an issue anymore with the new models! Vitamix.com also sells an even less expensive model called the Creations Elite and it has the same exact motor of the more expensive models. Plus, if you are really looking to save a penny, you can get a refurbished model from them as well. I, on the other hand, sold 5 kitchen appliances to pay for the old girl. I was able to sell my Food Processor, Coffee Grinder, Blender, Mini Food Processor/Chopper, and my Breville Juicer. My Vitamix has replaced ALL of these kitchen appliances and in 3 months, I haven’t missed one yet. I have been able to chop veggies and make almond milk, smoothies, fresh juices, hummus, guacamole, peanut butter, and even grind coffee beans.